Found 12 blog entries for June 2017. Thursday, June 29th, 2017 at 11:01am. Please come join The Cascade Team for the Snoqualmie Ridge 4th of July Celebration and Parade! The Cascade Team Real Estate is proud to serve the Snoqualmie Ridge community and provide FREE sno-cones and give-away prizes for the 12th straight year! The festivities start at 10:30am at Cascade View Elementary School with a parade. Show your spirit and decorate your bikes, tricycles, skateboards, scooters, wagons, etc. in red, white, and blue and come walk or ride in the parade as it makes it way to the Community Park! It’s a free event open to the Snoqualmie community and typically attended by thousands every year. So grab your family, your red, white and blue – and see you at the park! Hall-Of-Fame Results Updates! Two Homes Each Sold $300k OVER Asking! Monday, June 26th, 2017 at 11:35am. I am a Washington native and real estate professional serving my hometown of Woodinville and the greater Seattle area. Friday, June 23rd, 2017 at 1:48pm. Just want to tell all of the Broker/Agents at The Cascade Team "Great Job!" this week. 33 New Listings for The Cascade Team... Last year at this time we had an even 20 so that's about a 62% increase of where we were for the week just last year! For the year we have almost exactly Doubled the listings by the same time as last year. Thursday, June 22nd, 2017 at 3:52pm. Thursday, June 22nd, 2017 at 1:01pm. Most would-be buyers and sellers believe the real estate “deal” is negotiated at the signing of the contract. In many cases, the deal-making and negotiations only start at the contract signing. Even in more competitive real estate markets, negotiations still happen once in escrow. Issues typically arise after the home inspection, and those issues tend to result in another round of negotiations for credits or fixes. Here are three buyer tips for negotiating repairs after a home inspection. Monday, June 19th, 2017 at 11:02am. The days are getting longer. Ice cream truck jingles echo up and down the block. But the surest sign that summer is here? 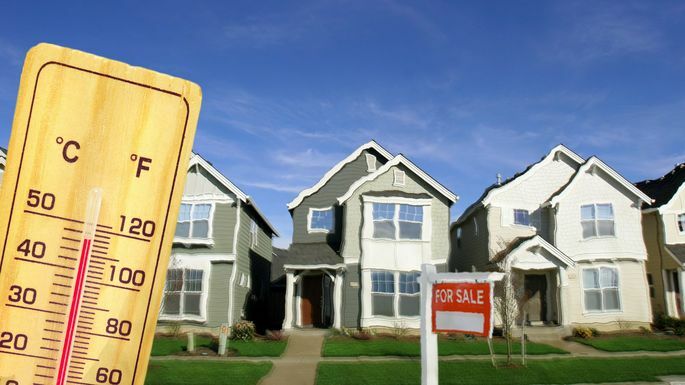 It just might be those "For Sale" signs popping up like dandelions in your neighborhood. Yep, we're smack dab in the middle of the most popular time of the year to buy and sell a home. If you're thinking of starting your home search, your first instinct as a savvy shopper might be to stay away and wait for the weather—and the market—to cool down. Why battle the crowds and bidding wars if you're in no rush to move? A huge myth about the real estate market is that homes sell for more in the summer and less in the winter. This is simply not true! Monday, June 12th, 2017 at 2:47pm. Brokers suggest improving inventory may mean “season of opportunity” for weary house hunters! Inventory up 6.8% New Listings At A 7 Year High! 13,497 New Listings Added in May (27% Increase from April) Pending Sales up 2.7% 9188 Pending Sales in May = All Time Record For Pending Sales in 1 Month! KIRKLAND, Washington (June 6, 2017) – Would-be buyers who have been shut out of the real estate market should test the “real estate waters” during the summer months suggests one industry leader. What's Your View Worth? You Can Buy The ‘Air Rights’ Above Homes To Protect Yours! Friday, June 9th, 2017 at 11:12am. What do you think? How much would you be willing to pay to protect your view? Our area is growing at an amazing pace with new neighborhoods, remodels, and much needed new housing all over. Can you put a price on the peace of mind in knowing your current view will last? SEATTLE — Seattle is one of the fastest growing cities in the nation, and now a popular trend in some of the country’s largest metropolitan areas is becoming more common here in Seattle. People are buying air above homes to protect views, usually from new construction or neighbors wanting to remodel and build larger homes that will block views. Tuesday, June 6th, 2017 at 10:53am. In a Bidding War, Sellers Often Think About More Than Just Money. Monday, June 5th, 2017 at 12:33pm. Juggling multiple offers is an enviable problem to have, but it isn’t always easy territory to navigate. For clients who think the highest bid is the default choice, it’s important to explain that price is just part of the calculation. Other factors include move-in timeline, potential appraisal and inspection contingencies, the amount of earnest money a buyer is willing to put down, and negotiations around home repairs, among other issues.